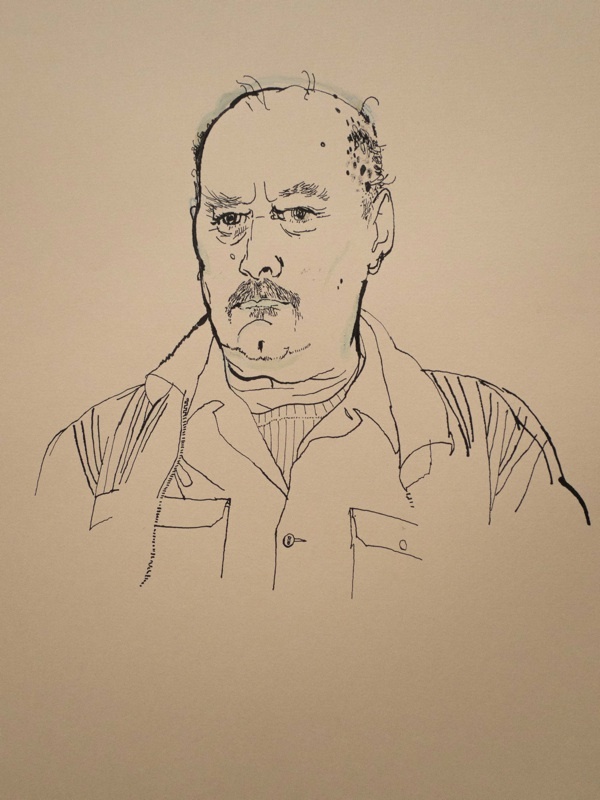 Contributing Artist Lucinda Rogers took me to visit her friend John Hall, the Piano Accordionist, in Haggerston and she drew this portrait while John and I enjoyed a chat. We sat in John’s new flat, replacing his former home in Samuel House that was demolished last year when the Estate was cleared, to be replaced by a much larger development including a significant number of private flats. From John’s flat in the completed building, housing the former tenants of Samuel House, we looked across to the construction site where another building will rise, eating up almost all the green space of the old Haggerston Estate and we wondered what the future will bring. All around, John was surrounded by musical paraphernalia attesting to his remarkable talent that has brought him new friends and enlivened his social life over the last forty years. 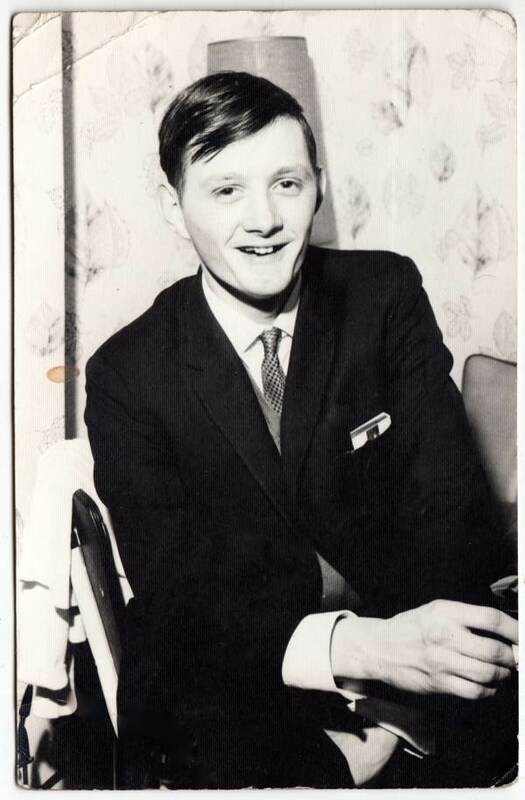 “I was born in a prefab in the Old Ford Rd in 1947. They were built as temporary accommodation after the bomb damage in the war, and they had everything you needed – even gardens. My dad was given one when he came out of the Navy, though I don’t remember it too well because we moved when I was small to Reginald Rd E7. Originally he had been a furniture van driver but he took over a little corner shop. A lot of people had the idea that we had it easy because my dad ran the shop, but it was hard work, we always came home from school and had to work behind the counter. The shop was open from seven until nine every day. 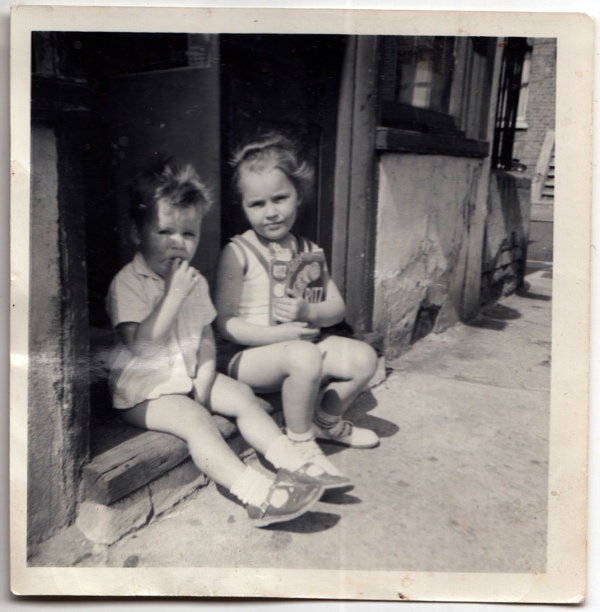 I was the third of four children – Lesley the oldest, Linda my elder sister, then me and Peter, my little brother. When I was at school, I was good at metalwork and I had no trouble getting a job because in those days you had all this manufacturing in the East End. For a spell, I was in the services and I went to Berlin but they found I had bronchitis and I got discharged in 1968. 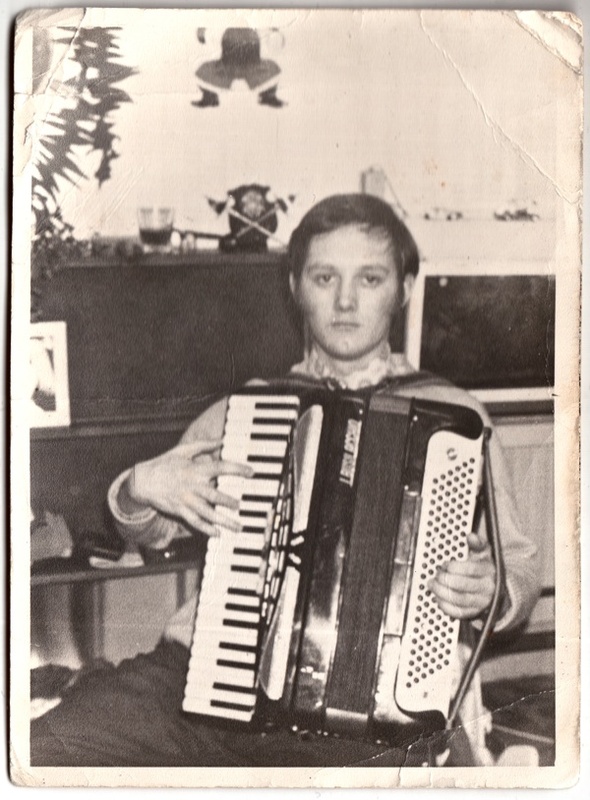 My grandmother was a classical pianist but I didn’t discover music until my teens when I saw Allodi’s Accordions in Finsbury Park. I just remember looking in the shop window and seeing these piano accordions and deciding I wanted to learn to play one. I went to have lessons above the shop given by Mr Allodi’s son, and I took to it naturally. 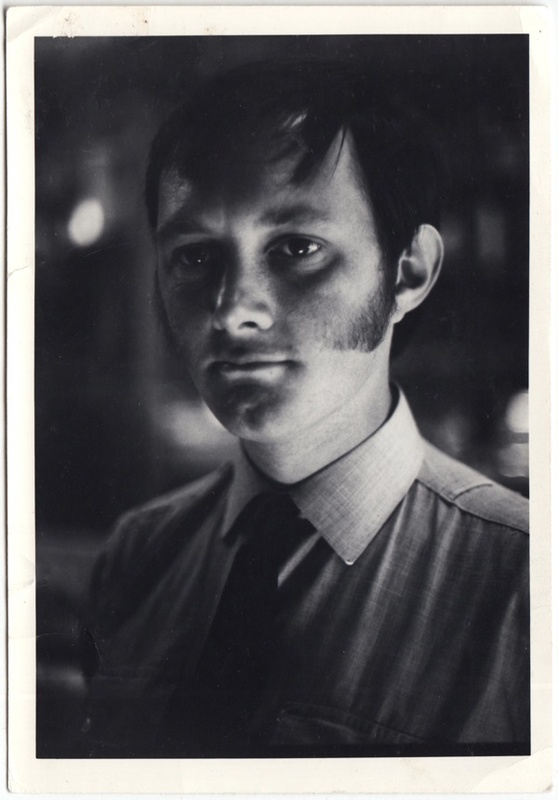 This was in 1971 when I was working as an ambulance man, after joining the service in 1968. 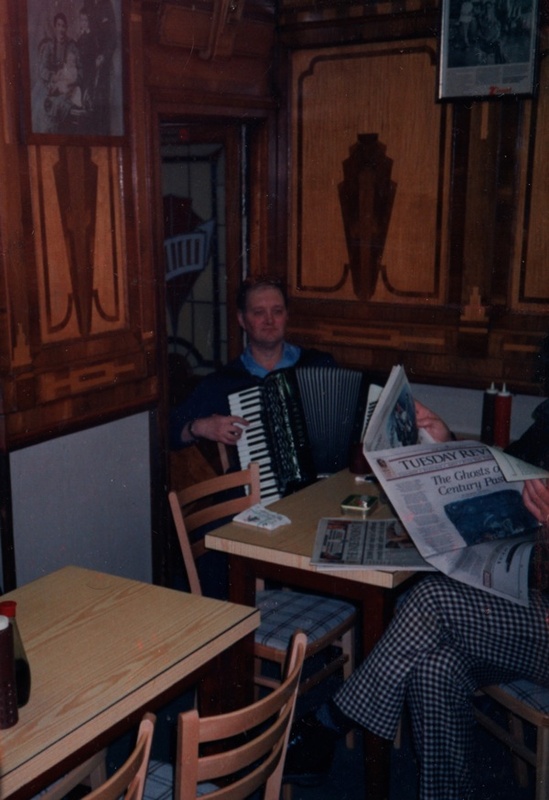 I played the accordion at The Talbot in Englefield Rd and I used to play at the Ambulance Service Social Club in Highams Park in variety shows. 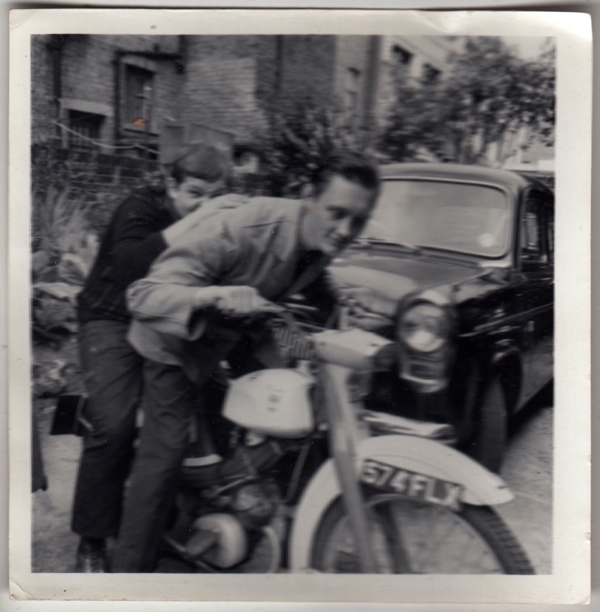 In the early seventies, I had a significant social life. I wanted to try busking, so I went down to Ezra St next to Columbia Rd and I was there for ten years. That’s where I met David Bailey. He told me to look in the lens and he snapped me. Then he came back the next week with an autographed print. I like his pictures because they are very clear. 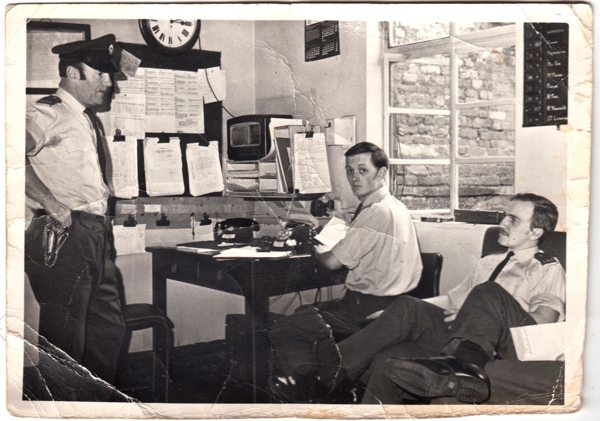 After eleven years in the ambulance service, I went into anaesthetics and I worked at the East London Chest Hospital, it was a very homely place in those days. In 1980, I moved into Samuel House in Haggerston. They had some flats that were described as ‘hard to let’ and it was quite run down in those days with lots of broken windows, although it wasn’t too bad. Four flights of stairs is no problem when you are thirty but I couldn’t make it now. I was having trouble getting up there. 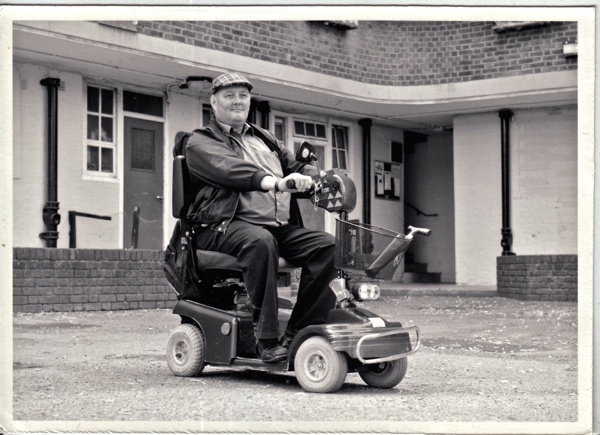 These days, I am in a wheelchair and I live in a flat on the ground floor of the new building. The old flats were very draughty and the double glazing here helps enormously. But it’s sad in a way, I miss some of those people, those that died. They went through a lot but they never got a new flat. 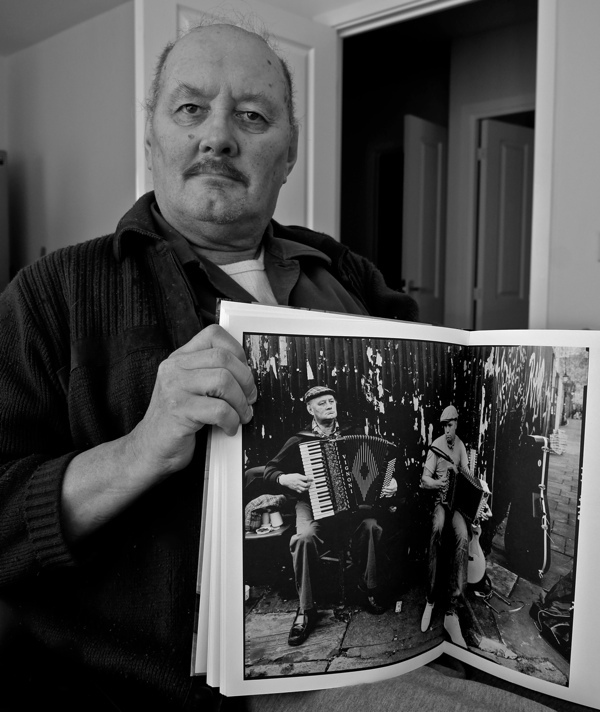 By coincidence, yesterday I received the book containing Bailey’s photograph of John playing accordion in Ezra Street. ‘Bailey’s East End’ is a handsome and hefty publication that would surely interest all devotees of Spitalfields Life: three hardback volumes in a slipcase. The first covers the 1960s: Whitechapel streets, pubs and clubs, and Reggie Kray’s wedding; the second comprises scenes from the derelict Royal docks in the 1980s; and the third concentrates on the streets and shops in East Ham since 2000, mostly in digital colour. Bailey was brought up in a terraced house in East Ham: a famous portrait of Jean Shrimpton, 1961, was shot in the hallway of the family home in Heigham Road. John, thank you for sharing your excellant photos, so nice to see your life in pictures. I hope you will find happiness in your new home & many hours of pleasure with your music.